Our book club will soon be discussing this book. I read this early in 2009, and it was one of the year's best reads, but I am not up to rereading it, so I'll just repost here my review. I will read its prequel instead. "Books are mirrors; you only see in them what you already have inside you.."
I finished reading Shadow of the Wind a few minutes ago. I'm breathless. Spent. Awed not just at the book but at the power of books like this to simultaneously dumbfound me and awake my emotions. And I'm writing this right now so that I don't chicken out of reviewing this book once the I-am-not-worthy feelings set in. The Shadow of the Wind is "a story about lonely people, about absence and loss," says Daniel, the novel's narrator. It's also a story about pain, betrayal, vengeance, forgiveness, secrets, lies, evil, envy, about family dysfunction, a culture of sanctimony, about poverty in more ways than just material, about different ways people love and hate; is it too much to say that it is about the human condition? Three narratives run in this novel - three narratives that mirror each other with uncanny similarities. Packed into these narratives are intensely emotional moments that take your breath away, surprises that keep you gasping, horrific events that make you want to turn your eyes away from the page, and love stories that make your heart bleed. The stories are told at a pace that leaves you panting and turning the pages even when your eyelids and heart say that you've had enough for one sitting. Too many coincidences that only a novel as spellbinding as this can get away with. I like that though the story has layers of meaning that would reveal themselves in future rereadings, the first layer is by itself satisfying. 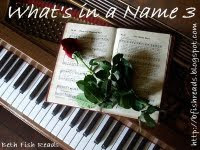 Oh, the characters -- Don Ricardo Aldaya, his women, his secrets, and his fourteen thousand books. Fortuny, the hatter who dies alone and learns too late how to love. Jacinta and her Zacharias. The son of a warmonger Miguel, driven by anger, love, and principle. And Lain Coubert, and so many more. But my favorite is Fermin - who looks like Boris Karloff when he is asleep and dresses as if he were a screen idol, who is always either horny or hungry, but is always funny. Except when he's being beaten to a pulp by the vile Fumero. Fumero, so vivid in my mind in his sailor suit. All these characters, except maybe for the women Daniel and Julian love, have dimensions. You see both the good and the evil in them, and the reason for their evilness. You see the hero's cowardice and the villains' broken hearts. I don't like some of the dialogue - stilted, unnatural. Maybe it's the translation. Maybe Zafon wants too much to narrate using the characters' words. And he does that a lot. Snippets, long italicized tracts of words from different people so you get the story in pieces, or in vague suggestions that can lead you to wrong conclusions. But in the end, he had to rely on Nuria's long Remembrance of the Lost to tie everything together, just in case you still haven't figured out the missing pieces. There was one particular twist that I didn't like. Too much of a cliche that I felt was unnecessary to move the story along. Crammed in the story are a lot of unoriginal subplots already seen in family dramas, aka telenovelas. But you can forgive Zafon all that because this is reading that is what reading fiction is all about. It entertains you, and stretches your imagination, and inspires you to read more books. This is my first read for 2009, and I couldn't have chosen a better one to start the year and continue my romance with the book. Snort, snort. Oink, oink. Hahagalpak ka sa katatawa sa mga kababuyang eto. My first read for 2010. 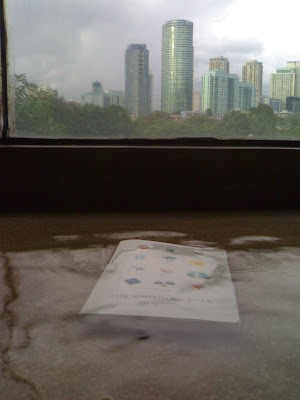 I stole the book cover picture here because I forgot to take a picture before returning the book. N.B. : If this seems familiar to you, it is not déjà vu; this is a transfer from my previous mixed-theme blog. 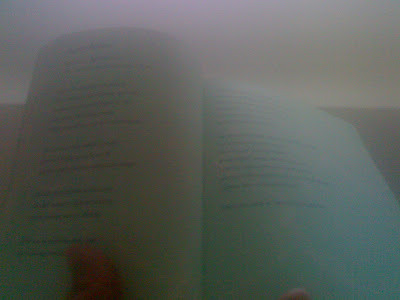 I read poetry at the steam room. I felt a bit self conscious because there were 2 other girls in the room. 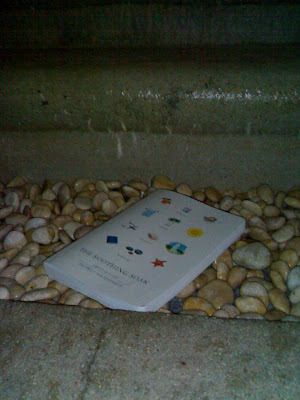 And maybe they were thinking I was silly bringing a book in there. Or maybe they were envious. Because they had nothing to read. While there I was unabashedly reading in the steam room instead of watching my navel or doing nothing but grappling with my body issues and trying to cover up my cellulite. I was happy. Then I moved into the Turkish pools. I love Turkish pools with the contrast hot and cold baths, except this time the hot part was not that hot, and the cold was not that cold. Normally, I would be a wee bit upset about such technical flaws, but this time I had my waterproof book, and I was a happy camper. I read a couple of short stories. 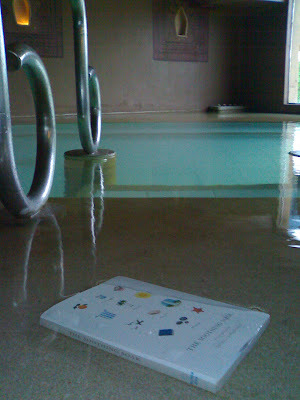 I can hardly remember the content as I was just so thrilled at the experience of being able to do two favorite things at once -- reading and spa-ing. 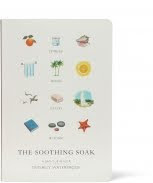 I enjoyed myself so much, I had to force myself to stop reading, pull myself out of the pool, and get on with my spa-ing. My brother bought a copy from Hong Kong. Big envy! After viewing the video, you won't need an explanation why I want this book. Last year, I furnished my apartment, equipping it with a hot tub for female bonding, a rec room for poker night, and an art studio for well, art. A few months later, I saved up enough to buy a 2-storey, American colonial type house, which I also fully furnished with 50s kitsch. The front lawn changed according to the seasons. Not satisfied with my 2 urban dwellings, I also acquired farmland, wherein I steadily amassed crops, farm machinery, animals, and buildings; I even opened it to the public as a theme park. Having discovered that country air and agriculture suit me, I got a smaller property for processing my crops into jams, wine, cheese, and other agricultural by-products. I also tried my hand at managing a restaurant, but eventually gave it up because of the difficulty of finding ingredients and muzak that didn't drive me batty. All these while keeping fashionably dressed and equipped with all the paraphernalia to keep up with my sorority sisters and mafia brothers. What a fruitful year 2009 was. Of course, if you know me well enough, you would know that all this did not happen in real life. It all happened in that wonderful but virtual slash make-believe world of Facebook. Yes, I had all the time in the world for all the things that would not change the world one little teeny weeny bit. Though I spent some time working, teaching, training, Toastmastering, volunteering, and checking a ton of writing assignments, I also spent a criminally inordinate amount time in front of the computer in aimless pursuit of mindless entertainment. It was not the year for major accomplishments and goal-driven over-achievement. It was the year of living aimlessly, lunching leisurely, slacking guiltlessly. I offer no excuses, no health reasons for slowing down, no soul-searching alibi, no lifestyle downsizing for higher purposes. I just wanted to celebrate the sloth in me. And I did it through facebook and other non-income generating but fun activities. I know, I know; I deserve your disdain, disgust, and yes, your envy. But I have to say that there was an area of my life less aimless: my reading life. I started the year with purpose. One goal was to top my 2008 50-book record and go for 60. 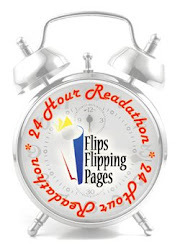 The other was to try out different genres and follow the reading plan set by Flips Flipping Pages. And this is how I did. For those too lazy to make the clicks, let me summarize: I did it! I accomplished my goals. Quantity Goal. I read 63 books in 2009. 3 over the target. The last 3 were comic books. And there was a patch when I was panic-reading, and so I finally read some of the children's and picture books in my TBR pile. I'll post the list of books at the end of this entry. The documentation gets spotty at the end when I started feeling blog fatigue. And you will see that there are some books that just barely make the classification as books. But I met the goal. So there. I will also post the books I read for this challenge below. Not completing this goal was not an option; I was resolute; I knew I would be so ashamed of myself to myself if I did not finish this. Even though that little pesky voice inside my head was madly whispering to the underachiever in me, "what's the point, what's the point?" There was very little point, truth be told. I just wanted to make a dent in my TBR mountain, especially for those genres that I would not normally pick up for reading. And mainly because I'm a silly, old girl, with huge book-shopping guilt issues. And that was 2009. Aimless living compensated for by purposeful reading. Not bad for somebody who loathed required reading. N.B. I flipped through this book and wrote this review way back November 2008. 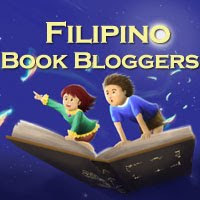 I will slowly be transferring my reviews from a previous blog to here. Slowly means one post at a time whenever I have the time, energy, and mood for it. I can see why those who love Jasper Fforde’s works love them. Fforde is a playful, imaginative, witty storyteller who evidently loves literature. 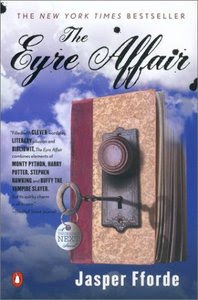 The Eyre Affair is an entertaining read that can make you smile and at places, laugh out loud. This is the first of a series of novels set in a surreal, literary-themed Great Britain where thousands of citizens named John Milton walk around and hold conventions, where social conflicts involve Shakespeare lovers and haters. Time travel is ordinary, and cheese is contraband. Special Operatives fight crimes against art and literature. It is set against the historical backdrop of the 80s, but any attempt to peg a date will get you messed up because of the futuristic elements in the book. In other words, it’s a Ffordian world that defies logic and timeframe. Thursday Next is one of those Special Operatives. (For some strange reason, I picture her as Gillian Anderson’s X-Files character, without the dowdy suits, and that’s funny because Anderson’s not even British.) Next battles the diabolical Acheron Hades, he whose name must not be uttered. And the book takes you on an exciting (acid) trip in a psychedelically colorful Porsche through London, Swindon, and Wales, crossing different time periods and even into the pages of books. Operative word is the preposition into. Because they don’t just read the lines of the books but get in between the lines so to speak, really getting into the story and meeting the characters face to face. Wordsworth, for instance, flirts with Thursday’s aunt when she got trapped in his book of poems. A review I read classifies this book under the genre (breathe in) “science fiction literary detective thriller” (breathe out). Taken singularly, each of those genres does not particularly excite me. Combining them in one book changes my sentiments and preference very little. It's no secret that I’m not fond of fantasy plots. Maybe the child in me is out there playing grown up. Maybe I take life too seriously. (Not.) But only a masterfully written book can make me suspend my disbelief long enough. And this book truly does challenge the suspension of aforementioned disbelief. Some things are just too irritatingly absurd. Riots of Raphaelites versus neo-surrealists?!? And I say with one eyebrow raised, "Come on!" And I think to myself “nerds.” But then again, maybe it’s just me. I don’t get why real life people speak elvin and wear costumes to the cinema to watch LOTR. I did enjoy certain parts of the book. I loved Uncle Mycroft’s bookworms that spew synonyms and factoids, a combination of google and thesaurus and more. I was bowled over by the vendo-operated Shakespearian character mannequins that discharge soliloquies. I was amused by the characters of Mycroft, Felix 7, and the Japanese tourists. But then, my anti-fantasy bias kicked in soon enough. I just feel that the fantasy genre gives the author too much latitude and too little restraint. But before I convince you all that I’m a realism Nazi, I just have to say that I was totally charmed by the clever way Fforde incorporated his bizarre story with that of Jane Eyre’s. Sheer genius. Wow. I loved how he did that. But not enough to turn into a fantasy fan. And yes, reading Jane Eyre first does help. It gets you in on the secret. "I'm telling you stories. Trust me." 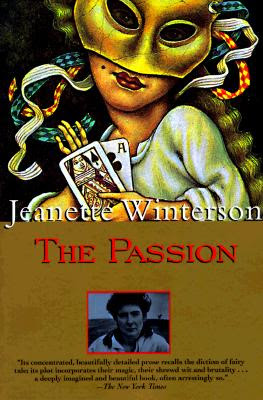 Jeanette Winterson sure knows how to tell stories. I didn't expect much from a book with such a generic title, but I wanted to try Winterson, so I picked up this slim (only 160 pages) book from my massive TBR pile. I also did not read any reviews and barely scanned the back cover blurbs, so I did not know what to expect. I like beginning a book with no expectations. The Passion is a love story of sorts. It's about loving God or at least one's idea of God, loving country, loving made-up people, and loving those who don't love back. The first chapter is the journal of Henri - young, naive Henri, who's still inextricably bonded to his mother. Plucked from a small French village, he was recruited into the army and thrust into a more adult, more savage world of brothels, mermaid infested seas that claim the lives of men, winter wars, and soldiers who pawn their hearts so they can burn villages without compunction. Henri's lithe body and gentle demeanor get him assigned to kitchen duty feeding Napoloeon Bonaparte's insatiable hunger for chicken, an assignment that spares Henri from the business of killing men and burning villages. The second chapter, reminiscent of Italo Calvino's Invisible Cities, moves from Bouglogne to Venice. The story shifts from Henri to the boatman's daughter, Villanelle. Cross-dressing, casino-cheating, water-walking, woman-loving Villanelle with the fiery hair and the beauty mark on the right place. She robs and leaves her husband whose retaliation casts her to the role of pleasure giver to the Generals. The first two chapters first seem like two separate short stories, and it is only in the third chapter when soldier boy meets the boatman's daughter. Just when Henri was falling out of love with Bonaparte, he meets the woman he is to love forever. "I didn't know what hate felt like, not the hate that comes after love. It's huge and desperate and it longs to be proved wrong. And every day it's proved right it grows a little more monstrous. If the love was passion, the hate will be obsession. A need to see the once-loved weak and cowed and beneath pity. Disgust is close and dignity is far away. The hate is not only for the once loved, it's for yourself too; how could you ever have loved this?" How many of us have felt something like this? And how few of us can write it this way? Drunk-dialing and revenge shopping were invented for us who can't find the words to express our heartache the way Winterson does. It'll be hard to read my next Winterson without any expectations. A few days after Christmas, our balikbayan box** from Chicago came. Such glee! The first joy came from sniffing that heady, some kind of wonderful scent that always accompanies luggage and packages from the US. And then the goodies spilled forth. Among them were books! It's like Christmas eve again. These are books from my sister-in-law Pat's shelves. Thanks, 'tePat! Is it bad to wish for a perennial lack of storage space so you would keep on throwing books our way? The books in the foreground found a loving home in my shelves. And the Garth Nix books behind went to my niece, Dani. Not included in the picture is a Far Side hardbound addressed to my hubbalicious. I devoured it as it came just when I needed a quick read to meet my 60-book challenge. Thanks for the books and the goodies, Te'Pat. What got me squealing were these two books. My first ever Amazon purchases. I had them mailed to Chicago to save on freight and the hassle of dealing with misguided tax collectors. This is The Little Prince pop-up book. Gorgeous, gorgeous book recommended by Blooey. To add to my just-started collection of Little Prince books. Even if I weren't collecting, I would still love to have this pop-up version, now one of my prized possessions. I've already read it, but it went back into the plastic bag for protection. Kurt Cobain's Journals -- this is a book I've been lusting for since 2003 when I saw it in a US bookstore. I balked at the $20 ticket then, but I've never forgotten it, and it has haunted my mind and my wishlist for all those years. And now, I am so happy it's moving from my wishlist to my book inventory. This one would take a longer, slower read. Okay, now that I'm done sniffing and squealing, let's get some reading done. A wonderful 2010 to everyone! May you have all the books your heart desires and all the time to read and enjoy them!